A long forgotten Valve project is now playable after 13 years in limbo. Based on an old school Quake mod, Half Life: Threewave is a multiplayer capture the flag game that was initially discovered in 2003 during the infamous leak of Half Life 2's beta. It was unplayable. Not any more. The folks over at Valve News Network did an amazing job sleuthing across the internet to find a specific folder from those leaks called "wmods". Half Life: Threewave was a project nestled away within that folder. VNN outlines the mod's history and their search in a new video. 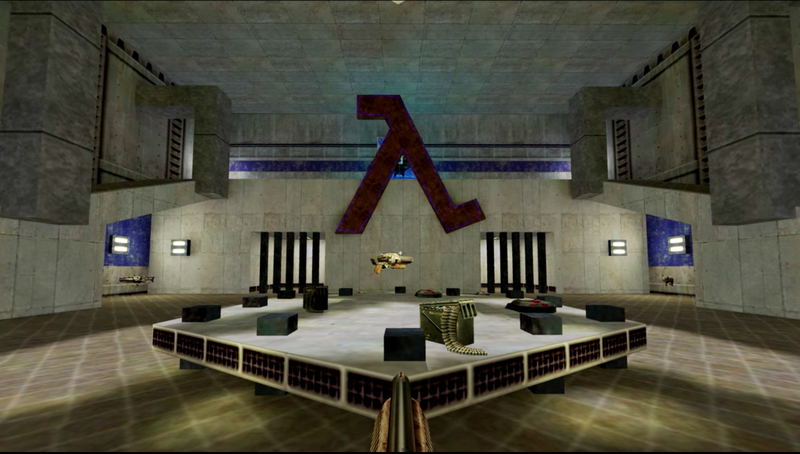 Half Life: Threewave appears to be a Valve sponsored version of the Quake mod that made Dave "Zoid" Kirsch famous. The original Threewave was one of the most formative games mods ever made, popularising capture the flag in Quake multiplayer and beyond. It was so popular that id hired Kirsch to made a version for Quake 2 before he eventually left the company and joined Valve. The work that VNN put into locating the mod is incredible and is a stunning example of how much fans can do if they dedicate themselves to a task. The managed to locate the files on a random Vietnamese server before handing them off to a capable modder who managed to get the game into working condition. If you're interested in playing Half Life: Threewave, you can download it here.